Dupatta (du-two, patta-strip of cloth) is basically veil or scarf traced back to Indus valley civilization. 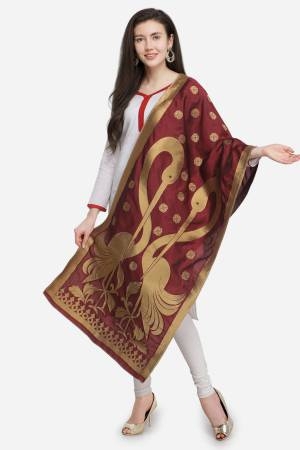 Dupatta is worn in many regional styles across Indian sub-continent. Originally, it was worn as a symbol of modesty. 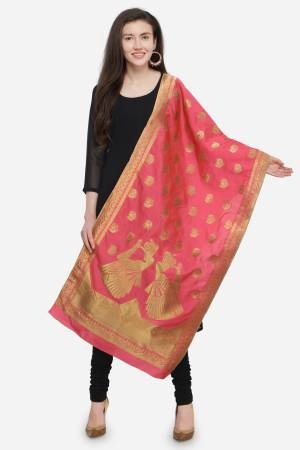 While that symbolism still continues, many today wear it as just a decorative accessory.There is no single way of wearing the dupatta, and as time evolves and fashion modernizes, the style of the dupatta has also evolved. When the dupatta is worn with the salwar-kameez it is casually allowed to flow down the front and back. . Another recent trend is the short dupatta, which is more a scarf or a stole, often worn with kurtas and Indo-Western clothing. 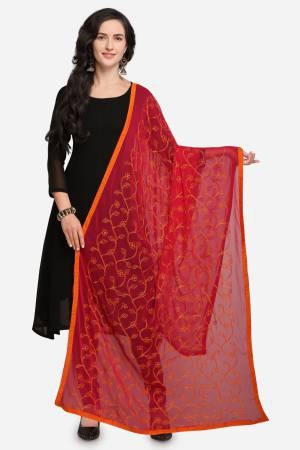 Essentially, the dupatta is often treated as an accessory in current urban fashion. The term stole is derived from the ancient roman word stola, which is the woman’s version of the men’s toga. The today’s stole is usually used to describe a formal wrap. It is more like a shawl but made of elegant fabric, often not as wide and long enough to drape around the body. The stole is also used to describe a wide decorative sash that is draped over the shoulders as in a graduation stole or a liturgical stole. Scarves can be thin and long: think of a typical winter wool scarf or they can be square: think of a classic silk scarf. In other words, the term is usually used to describe a fabric item that can be wrapped or tied around your neck for warmth and or style. Scarves can be casual or formal and everywhere in-between. Small square scarves are called bandanas, neck scarves or neckerchiefs and are made of a light material, usually silk, but also cotton and linen. Small squares can be worn so many ways, try one tied around your neck, your head, your purse handle, a ponytail or your belt loop for a fun dash of colour. Shawls refer to a large thicker piece of cloth, usually rectangular but sometimes triangular, square or in a non-geometric shape that can be wrapped around the body to keep one warm. Shawls are worn by both men and women, though women’s shawls are more eye-catching. They add a lovely finishing touch to an outfit and are usually worn for both warmth and decorative purposes.Shawls are used to accent an outfit, to keep the chill out, for prayer and to cover bare shoulders in formal attire; in short, a highly versatile addition to anyone's wardrobe. 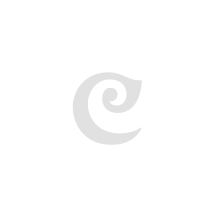 At Craftsvilla, some of the best sellers in the country have brought together the choicest collections of dupattas, stoles, scarves and shawls. Our online collections range in fabrics, colour, work, texture, prints and so much more. Buy your favourite accessory to go with you clothing and rock people’s world.